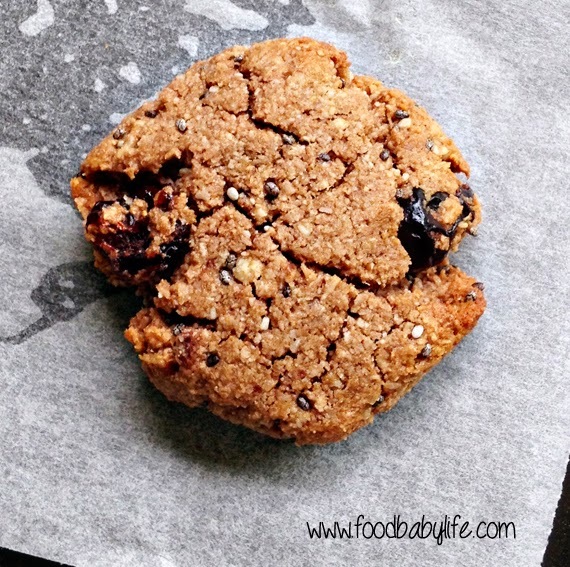 These are a very simple adaptation of the Grain-free Oatmeal Raisin Cookies which our family is so in love with. Seriously, I have lost count of how many batches I have made with the intention of freezing them for after-school snacks, only to find that they disappear almost before they have cooled down! Cranberry and chocolate is always a winning combination but the coconut in these also shines through. They are moist, chewy and chocolatey with a nice little zing from the cranberries. 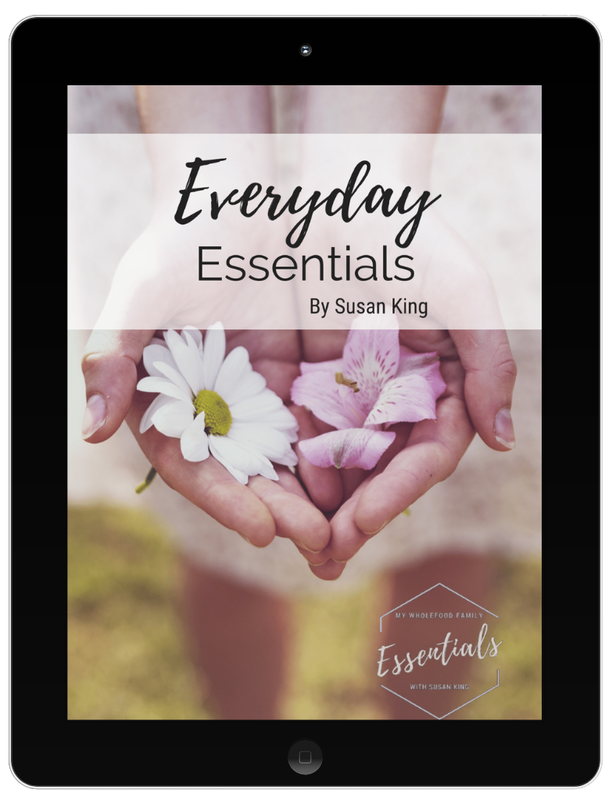 They are only slightly sweet, which my kids are used to, but if you're not you may want to up the sweetness, perhaps with a few drops of liquid stevia which will add sweetness without affecting the consistency of the dough. We've been having a heat wave here for the past few weeks but some overnight rain has brought a cool change so I have been baking up a storm and even made a batch of curried pumpkin soup for lunch (recipe to come). 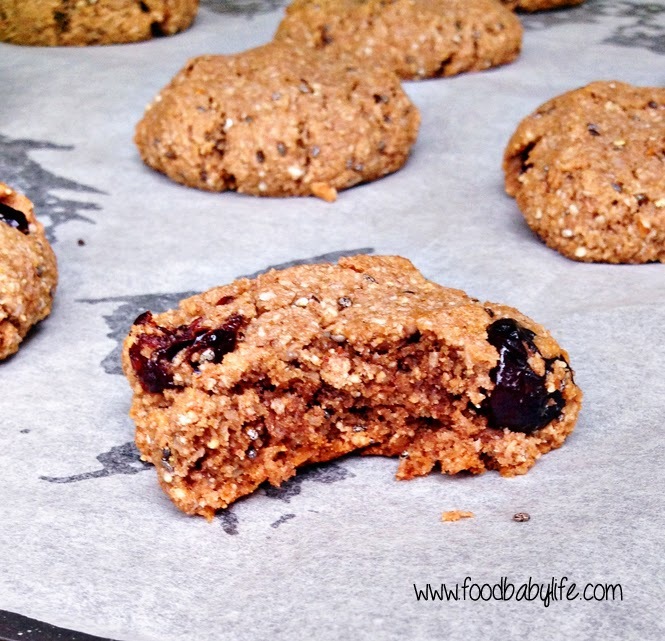 Follow the recipe for Grain-free Oatmeal Raising Cookies but replace the spice with 1 tablespoon of cocoa powder and use dried cranberries instead of raisins. Shape and bake as usual. Enjoy!